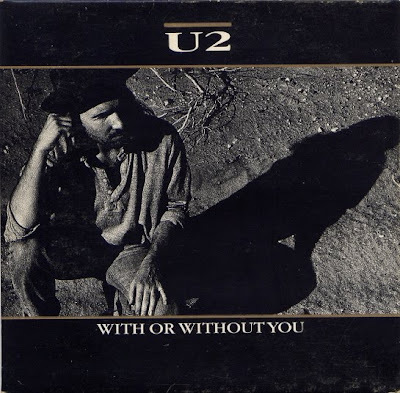 "With or Without You" was the lead single from U2's 1987 album, The Joshua Tree. It is arguably one of U2's most popular songs. Released as a single in March 1987, it became the U2's first American Billboard number #1 one hit, spending three weeks at the top. The follow up single, I Still Haven't Found What I'm Looking For also become number one. This song is a U2 fan favourite and played at every live concert, often at the end of the show just before the encore. Bono often brings a female on stage and sings the lyrics to her. Check out some other popular songs from The Joshua Tree. The politically charged Bullet the Blue Sky" has become an iconic U2 song. "Running to Stand Still" is about heroin addiction and "Red Hill Mining Town" is about decay.